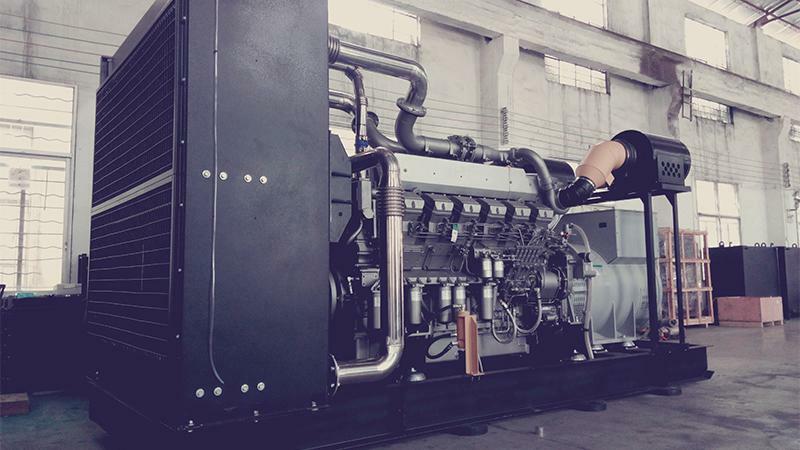 ISO8528 - This generator set has been designed to meet ISO 8528 regulation. ISO 9001 - This generator set is manufactured in facilities certified to ISO 9001. Standby Rating (ESP) : Continuous running at variable load for duration of an emergency. No overload is permitted on these ratings. In accordance with ISO 3046. Prime Rating (PRP) : Continuous running at variable load for unlimited periods with 10% overload for 1 hour in any 12 hour period. In accordance with ISO 8528, ISO 3046. Heavy duty, water cooled, Diesel engine. Protective grille for rotating and hot parts. Electric starter and charge alternator. Starting battery (with lead acid) including rack and cables. Steel base frame and anti-vibration isolators. Spare external fuel tank (open set). Single bearing, class H alternator. Industrial exhaust silencer and steel bellows supplied separately. Manual for application and installation. Quý khách hàng hãy liên hệ với chúng tôi để mua máy phát điện 1500kva nhập khẩu giá rẻ, chất lượng vô cùng bền bỉ, bảo hành dài hạn, phục vụ chu đáo nhiệt tình. Tư vấn hỗ trợ: 0906.247.366.